“mrcharlesbrown” gives you unmatched platform to create artistic drawings of all kinds and deliver high quality final end results. 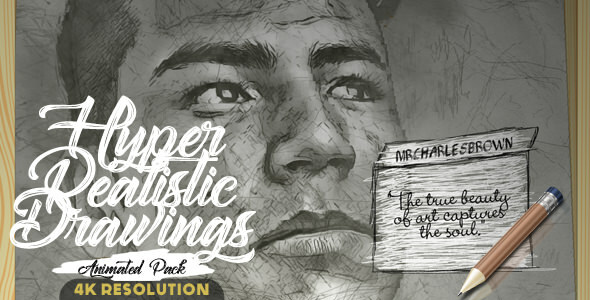 With this animated pack, you can create stunning pencil sketch video presentation with real 3D animation properties, synchronized music and expression control features making it so easy to just drag and drop the rendered drawings from Photoshop to After Effects – move few animation sliders and export video. Viola! Get it now and see the difference.